Rosie Danvers was invited to be the Musical Director, Orchestrator and Conductor for Frank Ocean's stunning performance at this year's Met Ball in New York, 2014. Frank Ocean performed 'Wiseman' and 'Super Rich Kids' together with Rosie Danvers and her all female orchestra. Rosie Danvers wore a black, satin and chiffon Zac Posen dress, kindly leant to her by Vogue Editor -in -chief, Anna Wintour. The Orchestra were introduced by the actors Bradley Cooper and Sarah Jessica Parker, as 'Rosie Danvers and the Charles James Orchestra'. The Orchestra opened the set with 'Fly Me To The Moon'. This was followed by a performance of 'Super Rich Kids' and 'Wiseman' with Frank Ocean. They closed the set with a collaboration of Diplo's Remix of 'Drunk in Love', performed live on stage with Diplo. 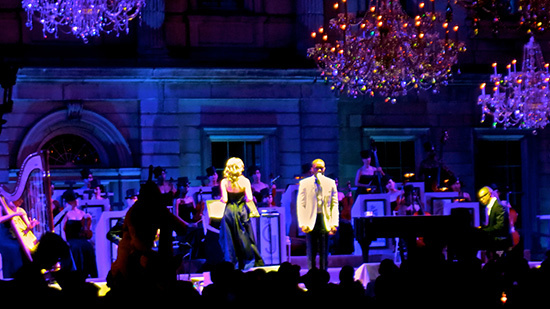 The evening's performance was produced by Tommy Danvers and designed and directed by Baz Luhrmann. Conductor, Rosie Danvers and Frank Ocean on stage at the Met Ball, 2014. 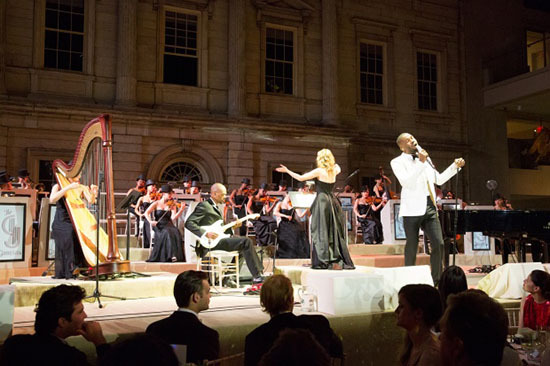 Rosie Danvers conducting Frank Ocean's performance at this year's 'Met Ball', 2014. Rosie and Tommy Danvers with the 'Charles James Orchestra' in the new 'Anna Wintour Costume Centre' opened by Michelle Obama. 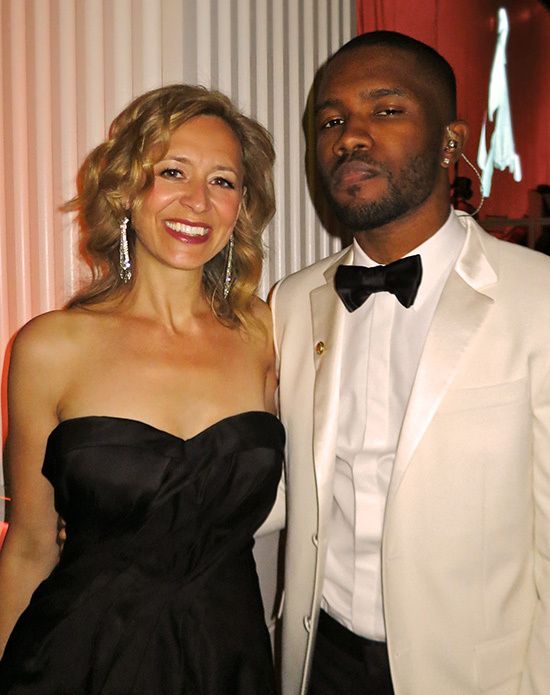 Conductor, Rosie Danvers and Frank Ocean back stage at the Met Ball, 2014. Conductor and Orchestrator Rosie Danvers with husband and Producer, Tommy Danvers at the Met Ball, 2014.